Adventure in the Great Wide Somewhere: Happy Day of Birth! Happy day of birth, little blog. I baked a cake in honor of my blog's birthday. I had no idea I was going to make this blog when I made the cake. I really made the cake simply because I wanted cake. But it sounds better to say that it was a celebratory cake. Yes. 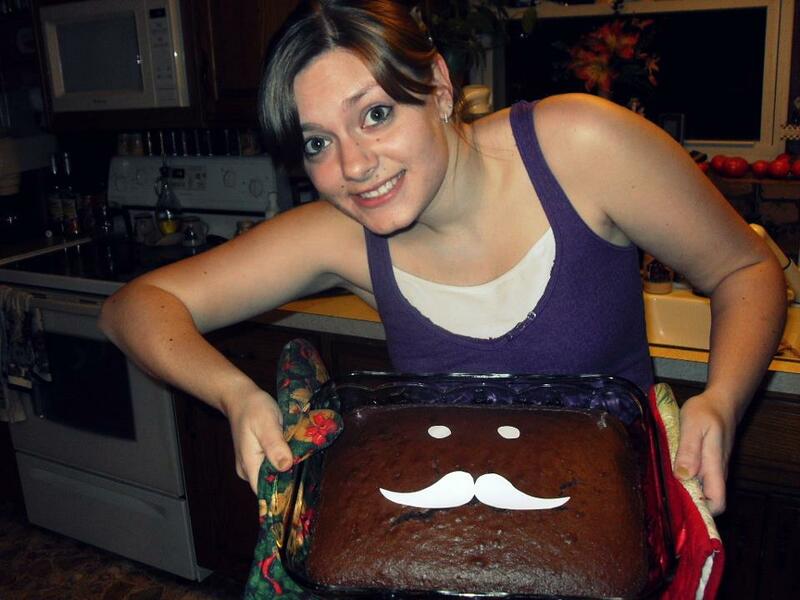 Yes my cake DOES have a mustache. My cake is more sophisticated than your cake. Also, I feel like this post should be even cooler than all the other ones ever. Well, I'm not... you really shouldn't play in traffic, but that wasn't your tip. Constructive criticism: it's your best friend. Seek it where it can be found. Friends, teachers, parents, etc. This is the only way to get better. I mean, of course you can get a little better in other ways. But seriously, constructive criticism is the most effective learning tool on planet earth. I'm not entirely sure the above sentence is factual. But it's close, so we're good. Someone suggested that I become a stand-up comedian. "I'll consider it," I told them. Well, I've considered it and I must respectfully laugh at the thought. Standing up and being funny. Enjoy your day, readers, and I shall now go enjoy cake.